Quote: I pick fish like women.! For there looks if they have a good attitude that's a bonus! 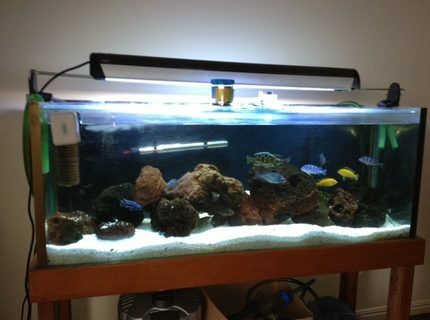 Fish Kept: -45 African Cichlids, Victorian, Malawi variety. Advice: You can never ask to many questions, do your research. Quote: Insanity: Doing the same thing over and over and expecting a different result. Advice: I'm a beginner myself. Research, Research, Research. Have a plan. Be Patient and take your time. Make small changes and keep up the maintenance and most of all Enjoy it. Try not to over analyze everything. Test the water especially during cycling. 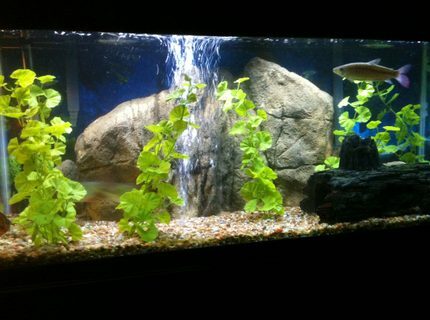 The bigger the tank the less the effect of changes in water conditions. Description: Have a nice day! 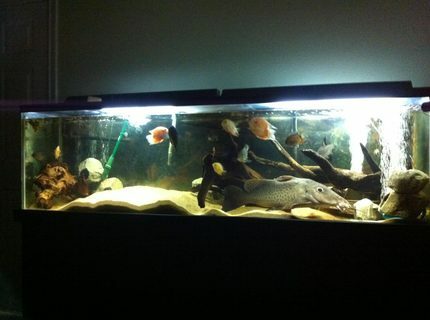 Fish Kept: 2-Silver dollars, 1-Cory cat, 1-Redhook silver dollar, 1- Red Tail Tin Foil Barb, 1- Pleco, 1 - unknown. Advice: The proper filtration is important use twice as much as recommended. It is way to easy to overfeed. Vacum gravel at least once a month. It will count as your 20% water change. 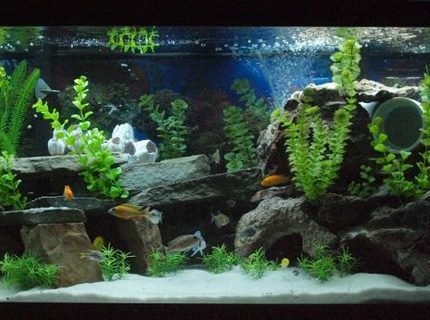 Don't overstock or buy fish that will get too big for your aquarium. 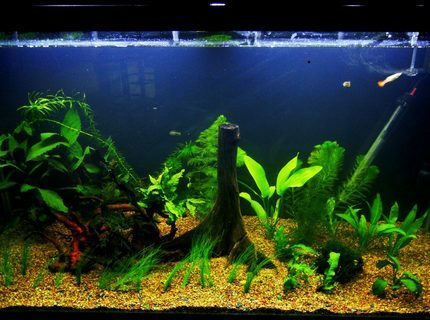 About Yourself: I wanted a bigger tank, wifey said no! 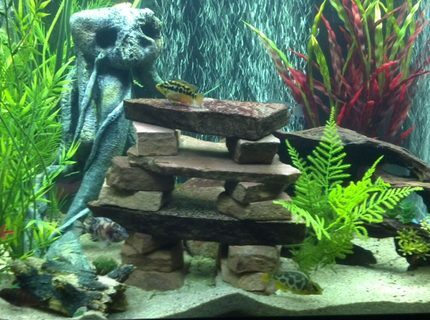 Fish Kept: 1 Firemouth cichlid, 2 Kribensis, 1 Blue Ram cichlid, 6 tiger barbs, 3 cherry barbs, 3 Blue and red columbian tetras, 1 rainbow shark, 1 Golden wonder killifish, 1 Angelicus Botia, and 2 Albino Cory cats. 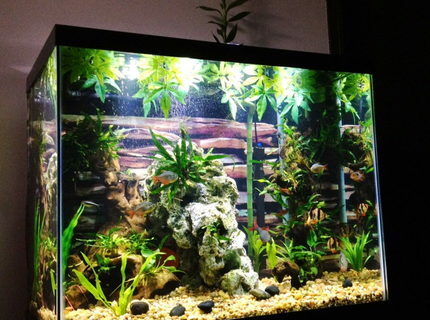 Corals/Plants: Java Fern, Java Moss, Anubias, Lucky Bamboo, and 2 Mondo Grasses. Advice: Don't give up! Everyone on this site was once where you are now. Take advice, use common sense and don't rush. This is a hobby where patience is rewarded. Advice: Do your research - and patience. This tank is 6 weeks old and still not cycled. Got impatient and added fish too quickly, lost a few but back on track now. We added some live plants to help out, too. About Yourself: Fish is what i do. Been at it for about 10years. Some times its better than tv. 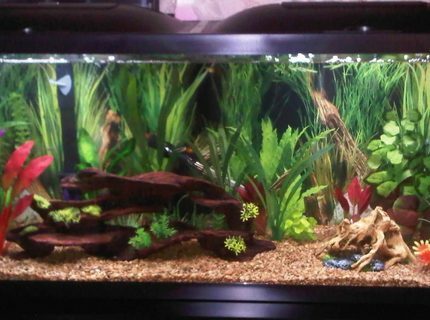 Fish Kept: A mix of south american. And silver dollars. Advice: Just have fun.it takes time to get what u want. Corals/Plants: Fake plants the only man made decor in my tank. 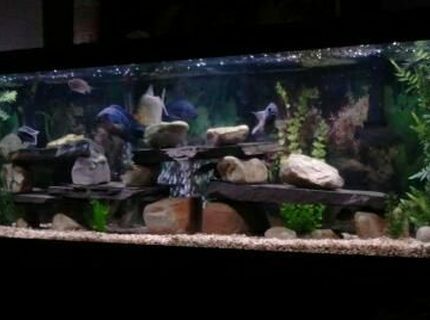 Description: My Mixed African Cichlid Tank!!! Quote: Iron sharpeneth iron; so a man sharpeneth the countenance of his friend. 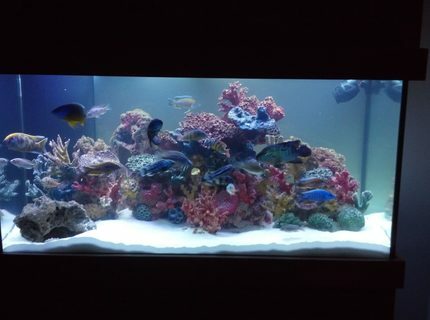 Corals/Plants: Driftwood, No plants(severums), Sand. Advice: Don't be cheap on filtration.